how to Archives | Food blog! 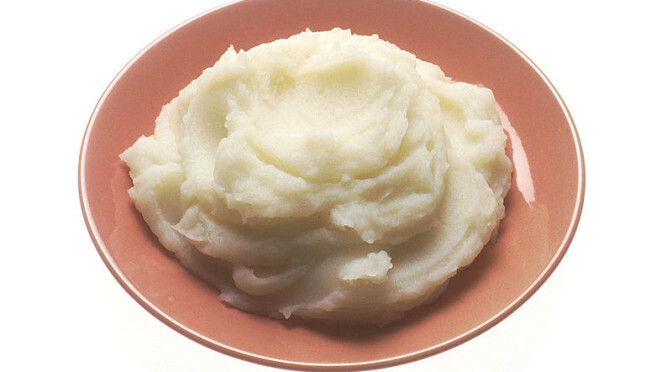 The easiest and most accessible way to mash potatoes is by a hand masher. 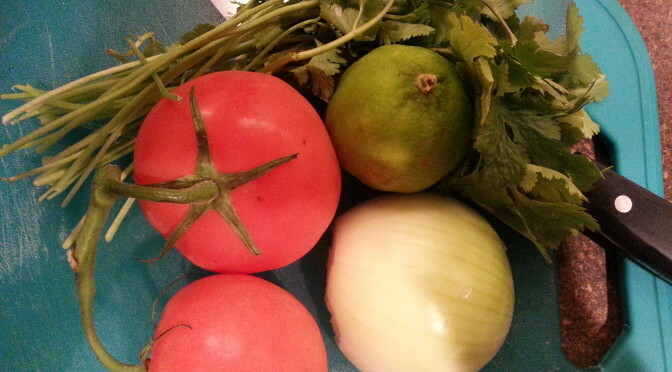 You can buy one of these cooking tools at any local grocery store and they are pretty inexpensive to find. 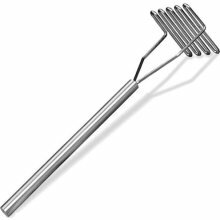 Of course the bigger stores will carry a larger variety of shapes and sizes of the potato masher, but really all you need is the basic masher. Learning how to mash potatoes is easy! Here are the steps. First you want to get a large pot of water, fill it with water, and place it on the stove. Get the amount of potatoes you want to make, lets say 4 medium sized ones for about 5 servings. Wash them and place them in them in the pot of water that you filled earlier. Bring the pot to a boil and let the pot simmer until the potatoes are ready. You will know when they are tender when you can poke something (you can use a butter knife or anything sharp) straight through them without much resistance. For an optional garlic flavor you can boil the russets with a few cloves of garlic. Once they are done strain them and place them in a large bowl without the water. They are now almost ready to be mashed. Four about 5 potatoes you can get a few tablespoons of butter and put them in the bowl along with some milk. The amount of milk and butter varies to the amount of potatoes you are making. But for the amount here we can use about a half a cup of milk, put it in slowly until you are satisfied with the results. 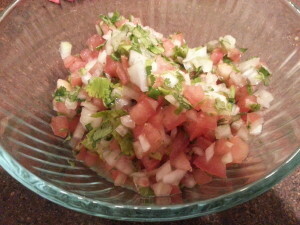 Mash them until the ingredients are mixed and you get the texture of food that you like. Don’t forget to salt and pepper to taste. The best way to get the milk and butter proportions correct is to practice and experiment until you get the flavor you are looking for, you can also use an electric mixer for a different texture or a ricer for something different! What is flavor exactly and how do you taste? Flavor is a “taste;” it is a substance that gives a particular sensory perception to your mouth. Your mouth, which contains thousands of taste buds will sense the particular flavor of which you are eating, the taste buds will then send out the signal and you will “taste” what you taste. Your nose often works in conjunction with your sense of taste…next time you have a cold or are sick you will notice that food and flavors do not taste the same as when you are feeling well.